All works created and published in one of the aligned countries with the Berne Convention shall grant the author and his/her perspective works or materials the same copyrights and protection in the other aligned nations under the Berne Convention. In other words, countries must provide for the same copyrights and protections that its own citizens receive under law for their published works or materials to all foreign authors and their copyrighted works, as long as their countries of origin are part of the Berne Convention. 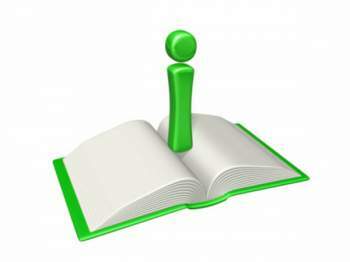 Copyrights and protection of the author under copyright laws are considered to be "automatic". Copyrights are to be considered inherent based upon the creation and publication of a work and are not subject to conditional or required registration or notification to acquire copyrights and protection. 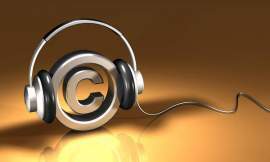 The copyright recognition and protection administered by the Berne Convention is independent. In other words, the Berne Convention legislation is to apply regardless of a particular nation's own copyright laws and regulations. However, in certain instances where a country applies a term of expiration of a copyright to their works or materials of an author, it must be noted that the Berne Convention has its own expiration terms. If the country's expiration term for a copyright is longer than the original nation of origin of a certain work, protection and copyrights under the Berne Convention may be denied. The copyright and protection of such a work will adhere to the expiration terms of its original place of origin or publication. This is often referred to as "the rule of shorter term." It is important to note that not all countries have accepted this regulation under the Berne Convention. These three basic guidelines allow for a very basic and minimal implementation of legislation for the recognition of copyrights and the author and his/her created works or materials protection. Many countries, such as the United States, may have more regulatory or stricter statutes in their own legislation systems, but the recognition of foreign works in their own countries must adhere to the Berne Convention rules. The United States proves to be a great example as to why international copyright legislation became necessary. The United States only allows for copyright infringement suits to be charged if the owner of a particular work had registered the work in question with the United States Copyright Office. 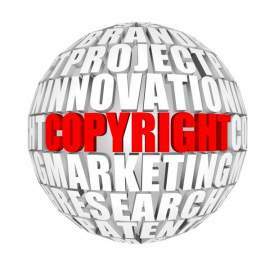 No copyright infringement suit would be recognized unless the work was properly registered. This legislation would prove to be a problem for works that originated or were first published in other countries and were not registered with the Copyright Office. The opportunity for copyright infringement to occur on such foreign works would not be held accountable or punishable by law. Because of such legislation, the United States did not join the Berne Convention until 1989, but it still applies its original copyright registration process for national works and does not deem it necessary for international works to be properly registered in the United States in order to have the ability to bring up copyright infringement suits against violators or commissions of piracy. ● The right to reproduction. This provision may be subject to the nation or country allowing for permission for reproduction. Also, no actual authorization may be needed if the reproduction of a copyrighted work will not defile the original content or intention of the work and the owner of the copyrighted work will not be subject to defamation and will be properly compensated, if such compensation is in order (as in the case of the performing arts and their various modes of production). The right to use a particular work as the basis of audiovisual purposes, and the right to reproduce, perform, or distributed that particular audiovisual work is also included in this Agreement.Another aspect that the Berne Convention also incorporates is the concept of "moral rights." These rights are to give exclusive privilege to to the owner of a copyrighted work to denounce any kind of modification or derogatory action otherwise intended by the work itself or the author's personal will, as such modification may affect the author or copyright owner's reputation in a negative way. The Berne Convention also applies a period of copyright protection and rights that has an expiration date. Generally, a work is protected under the Berne Convention provisions no less than fifty years after the author's death. If such a work is published anonymously or pseudonymously, the fifty year term is applied to the date of the work's first publication rather the author's death. 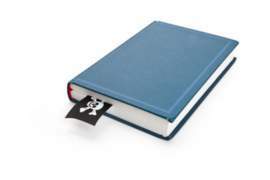 The exception for this particular instance is if a pseudonymously published work can provide for a positive identification of the actual author or copyright owner of such work, or if the author makes it known publicly that the work is published under a pseudonym. In that event, it reverts to the original limitation of fifty years after the death of the author. For the case of audiovisual works, such as feature films and motion pictures, the fifty year period applies to the date of the work's release to the general public. If the work is not publicly released, then it applies to the date of its creation. For applied arts and photography, the term is shortened to twenty-five years from the date of creation of that particular work. The Berne Convention also provides for the structure of its Council, which is made up of an Assembly and an Executive Committee. All countries and nations that are considered as signatories or adhere to the Berne Convention statutes are members of the Assembly.